First Grade Kate: A makeover, a bundle, & a SALE! A makeover, a bundle, & a SALE! I have been meaning to give a little facelift to some of my older TPT items, and I've decided to make that my project for the next few weeks. Yesterday, I updated my More or Less pack, which has math centers for 1 more, 1 less and 10 more, 10 less. 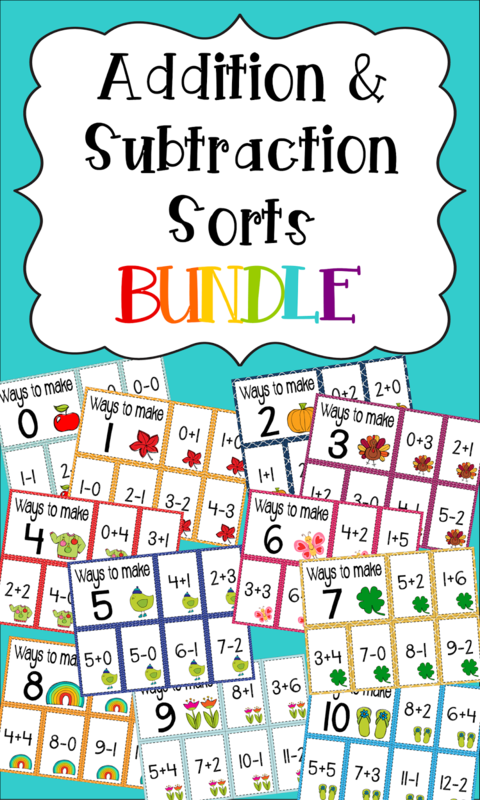 I also bundled my Addition & Subtraction Sorts, which are great for practicing fact fluency! 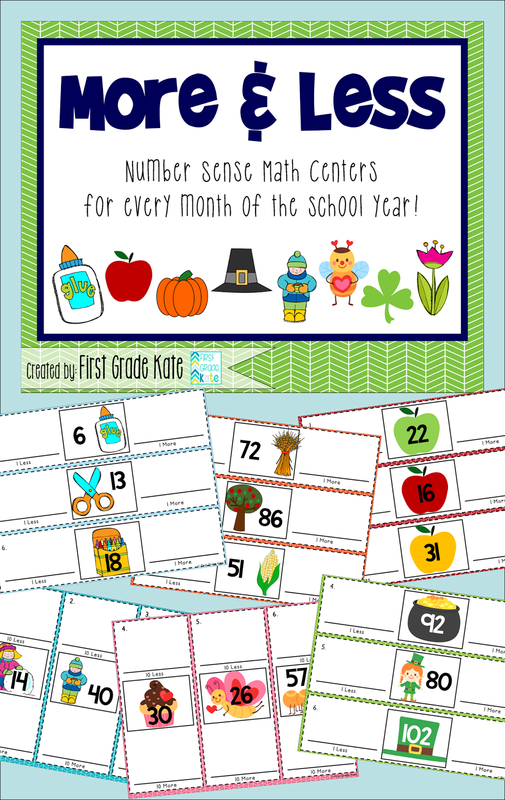 What I love about both of these items are that they include centers for every month of the school year, so you don't have to worry about it being the right time of year to bring them out! To celebrate FINALLY getting around to doing some product plastic surgery, I'm putting both of these items on sale for 20% until Tuesday night! Thanks so much! I'll be sure to stop by!